Looking for a smartphone and you do not want to wait till this fall when apple is most likely to launch the new iPhone 5 ? Well , you came to the right place . Do not worry , there are many selections that can be made . After Htc , the Taiwanese giant , faced some financial setbacks this year , they have now opted to make fewer phones of better quality . They launched their One series this year and it is a bomb . The highest grossing phones of one series are Htc One X and Htc One V .
Htc One X offers a great 4.7 inch Super LCD 2 capacitive touchscreen and its outdoor visibility is up to mark . A 1.5 Ghz Quad Core Processor with NVIDIA tegra chip will make your world speedy as hell . The phone comes pre-installed android ics 4.0.3 . The camera on this phone is exceptional , 8mp primary and 1.3 mp secondary . Internal storage is 32 GB without any upgradable memory option . Samsung has never been able to dissatisfy its customers . It was a bout 1 or 2 year from now , when samsung launched its galaxy series in the market . Since day one , consumers and reviewers have a special place for samsung galaxy phones in their hearts . About this phone , it has all the features plus some unique features which you will not see on any other phone till date . Sasmsung Galaxy S3 means a whole load of all the tech specifications required by any user . It comes pre-installed with Android ICS 4.0.3 OS . The screen size is 4.8 inch Super AMOLED Capacitive touchscreen , its outdoor visibility is poor . The phone has 1.4 GHz Quad Core Processor , 8 mp primary camera and 1.9 mp secondary camera . The phone comes in 3 variants - 16 GB , 32 GB with an expandable memory slot upto 64 GB . 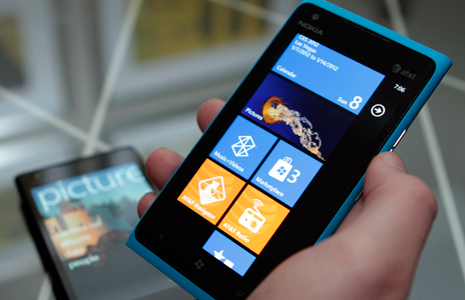 Without any doubt or any question , the Nokia Lumia 900 is the best Windows Phone right now on the market . Windows phone do not make the buzz around the Mobile OS wars , but that doesn't mean that they are not capable of doing something . 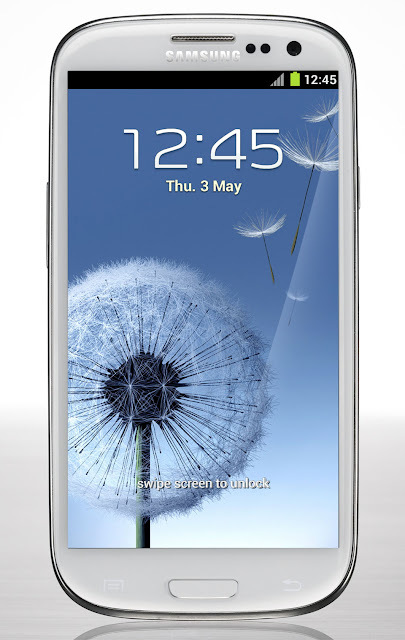 This phone can be compared with iphone 4s or htc one x or even samsung glaxay s3 . This phone offers you an elegant design with a 4.3 display and a superb battery life . The hardware specs can walk with the high end smartphones of other giants . The phone has pre-installed windows phone 7.5 mango which is upgradable to windows 7.8 which will make the appearance of the phone just the same as that of windows 8 on any other future phone . Nokia also provides you with lifetime free offline navigation systems in Lumia range ! If you have any question on why didn't other phones could come to this top 3 , say it loud in the comments bellow .